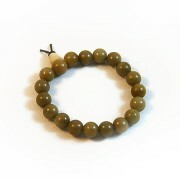 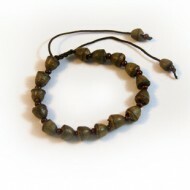 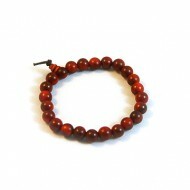 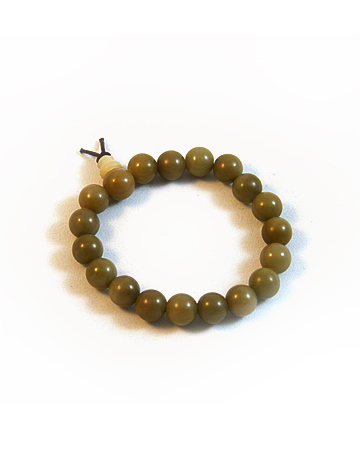 Called Bodhi Root, these beads are made from the nut of the Buri palm tree. 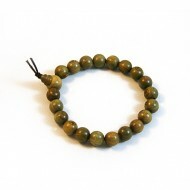 Symbolizing rebirth, every part of the tree is used to make a variety of items, from food to furniture. 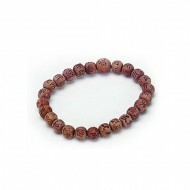 The natural form of the nut looks like a little brown watermelon and is white inside.